Since being founded by Kasra over a decade ago, Critical Sound has gone on to become one of the most forward-thinking and genuinely pioneering labels in drum & bass. The release of Underground Sonics early this year cemented its position as a frontrunner of the genre, with the likes of Enei, Foreign Concept and Ivy Lab coming together to display their immense production quality. 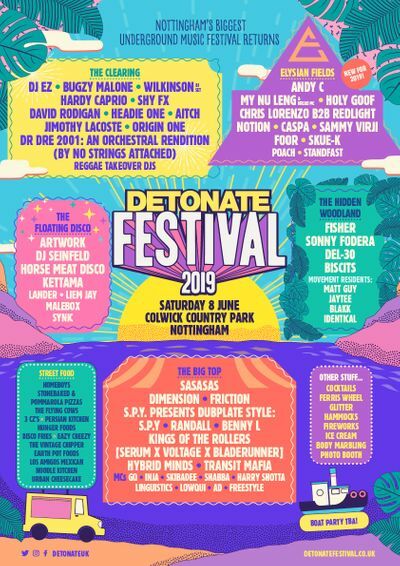 We are excited to be giving control to the label for a special festival takeover, with some true legends of drum & bass featuring alongside some of the genre’s best newcomers. The Critical takeover will be hosted by Sheffield’s Dedication Audio, who also took care of Room 2 at our NYE event. Ed Rush is a man who needs very little introduction. Most renowned for his collaboration with Optical, Rush is a true stalwart of drum & bass. Along with Optical, the pair created the Virus Recordings record label, and more notably were hailed for the release of ‘Wormhole’, an album which is frequently listed as one of the genre’s absolute classics. As Critical grows and grows as a label, Kasra’s mark on drum & bass continues to shine, and his name picks up more esteem. Ever since creating Critical Sound in 2002, the visionary has not only helped the label develop into what it is today, but has also released a multitude of tracks of his own, including collaborations with S.P.Y and Jubei. Dutch import Lenzman is widely regarded as one of the finest liquid producers around. His distinctive, soulful, deep sound has led him to become one of the most highly sought-after DJs around, and with a brand new album just around the corner, his reputation as one of the best is only going to grow even bigger. Hailing from Austria, the newcomer has taken very little time establishing himself as one of the most cutting-edge producers around and is now a prominent figure in the Critical family. His astute technical production skills have given him an inimitable sound which makes him a must-see at any rave. Sam Binga is one of a leading group of artists producing drum & bass at a faster pace. He was flung to prominence following a collaboration with OM Unit, and has since gone on to attract widespread praise with the release of ‘Ayo’ featuring Redders, and more recently ‘Lef Dem’, which featured on Underground Sonics. Support comes from Dedication Audio residents Drone & Lukai.